For many of us, our pets will be our Valentine on February 14. Last year Americans spent more than $751 billion on their furry valentines. 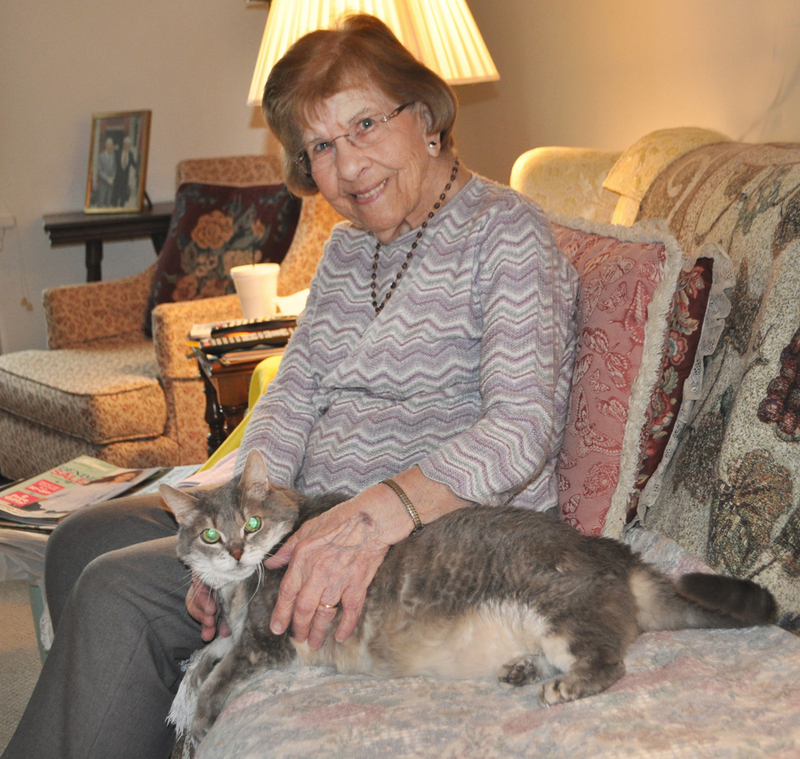 For seniors, animals can provide a special connection to help alleviate loneliness on this special day as many recall a lost spouse or loved one. Kathryn Swartz says her cat, Lexi, fills a void in her life and gives her a purpose. Kathryn Swartz and her cat, Lexi, Country Meadows of Hershey residents, agree. This special relationship is a heart-warming example of why Country Meadows Retirement Communities are pet-friendly. Pets are welcome to move in with their human and every campus has house pets for residents and co-workers to love and enjoy. Swartz and Lexi have a tight relationship; the cat rarely leaves Swartz’s side. They sit together, sleep together, and when Swartz leaves for dinner, Lexi waits for her by the door. In addition to being adorable and loving, animals can have numerous therapeutic benefits for seniors. Science shows that animals can help reduce stress, lower blood pressure and, since keeping a pet can offer seniors a way to create and maintain a healthy routine and schedule, pet ownership tends to increase social interaction and physical activity while reducing symptoms of depression. To help seniors continue to care for their pets, Country Meadows created a Pet Care Program for its residents. Designated Pet Care Coordinators offer services including walking pets, filling bowls, changing litter boxes, brushing, coordinating grooming and veterinary visits, administering medications, exercise…nearly everything an animal needs to remain happy and healthy while living with his/her human.